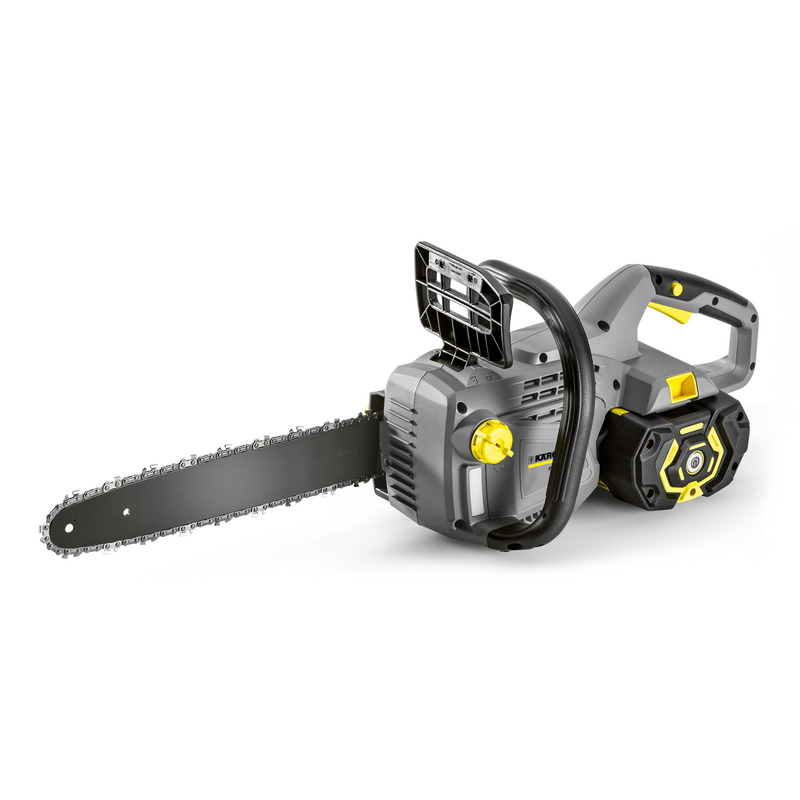 CS 330 Bp 14421110 https://www.kaercher.com/uk/professional/outdoor-power-equipment/cs-330-bp-14421110.html Quiet, lightweight chainsaw ideal for use in noise-sensitive areas e.g. residential areas, around schools and parks. Please order the appropriate battery and charger separately. 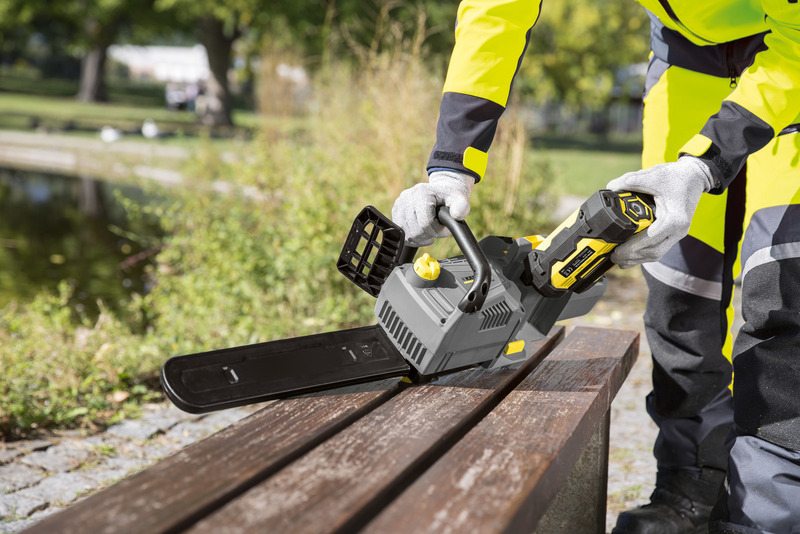 Quiet, lightweight chainsaw ideal for use in noise-sensitive areas e.g. residential areas, around schools and parks. Please order the appropriate battery and charger separately. Lower maintenance effort with optimal lubrication of the chain and longer service life. For maximum safety, the chain immediately stops if it comes into contact with the front hand guard. Maximum flexibility. The compatible battery can be easily switched to other machines depending on requirements. Environmentally friendly and user-friendly. No petrol smells during work. Enables use in noise-sensitive areas such as residential areas, near schools and at night. Long, fatigue-free operation enables longer work intervals. Highly economical, since there are no petrol costs and maintenance costs are low. Greater efficiency thanks to fewer idle times.